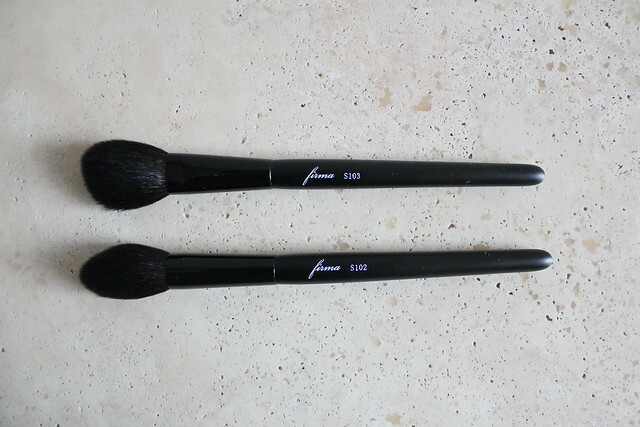 I’m excited to show you today brushes from local Vancouver company Firma Beauty. The Signature line of brushes are hand made in Kumano, Japan, where the best artisan brushes are made in Japan. The fibres are first-cut goat hair, which is ultra soft with tapered ends. The handles are made of lighweight wood, and the logo Firma and brush number are carved into the handles. After using these for the last two months, I have to say that I am thoroughly impressed. 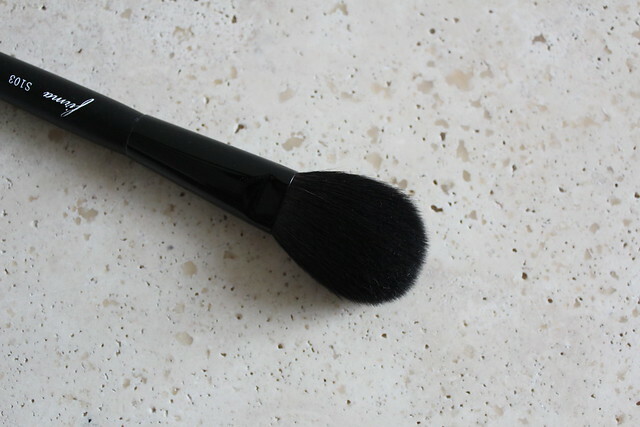 The S102 Oval Powder (C$69.99) is a tapered powder/contour/blush/bronzer brush, and S103 Fan Shaped Brush (C$65.99) is a flat blush/powder brush with a slight taper at the end. Both are incredibly soft, definitely two of the softer brushes I’ve used. 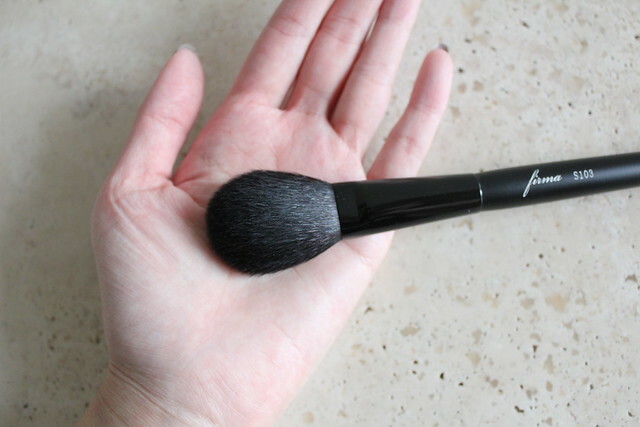 They are much, much softer than MAC brushes, and about the same softness as Wayne Goss brushes. I’ve washed these a few times and neither of them shed very much, maybe 1-2 hairs when they’re being washed, but they don’t shed at all when being used, which is very impressive. 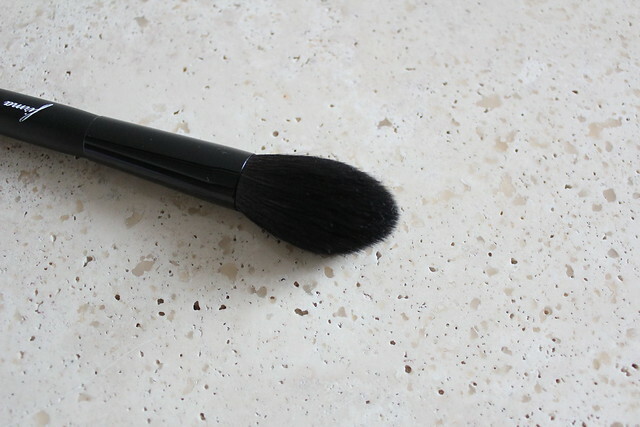 I’ve been using S103 mostly as a powder brush because I prefer smaller powder brushes for precision powdering, and the S102 as either a contour, highlight, or blush brush. These brushes are also very versatile, as the shade is not too small and not too big in that you can use them across multiple functions. I’m finding that’s more important now with brushes that they can do multiple things, especially if I’m investing a lot of money in my brushes. Even though S102 is soft, the tapered point allows it to deposit colour very precisely on the face, and then the softness allows it to blend and diffuse the colour to create a natural look. Overall I’m very happy with the brushes. In terms of price, they are on the high side, but the quality is impeccable so I’m happy to pay the higher prices for the product. 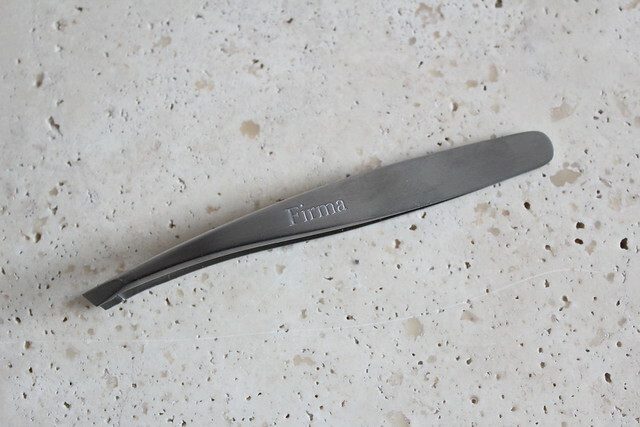 Firma Beauty also has nail polish and tweezers. The tweezers are made from medical-grade stainless steel, and provide an incredibly sharp tip for the most precise tweezing. 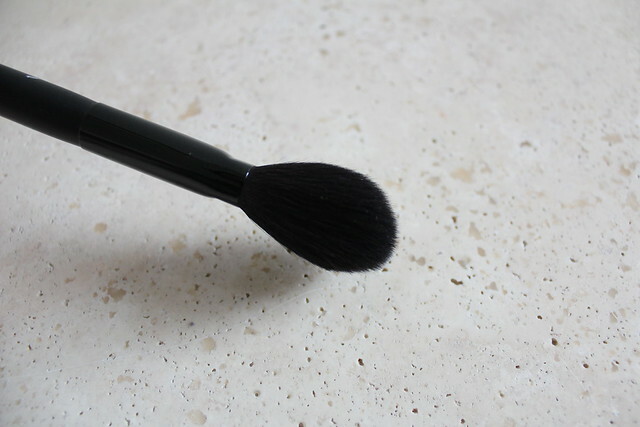 Other things to note is that Firma brushes are made ethically and cruelty-free; animals aren’t harmed during the process of making the brushes, and workers are paid a fair and equal wage. Firma Beauty is based in Vancouver and you can also find them on Facebook. Good to hear the quality is on point! The brushes sound and look really nice. These look gorgeous! And they’re not too expensive either, really. Similar to Shu Uemura prices. 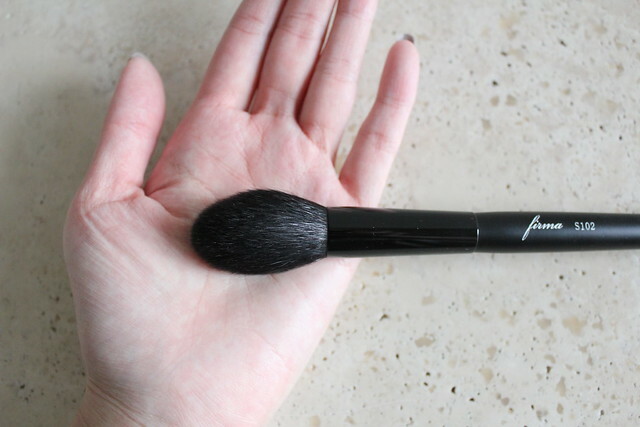 I really like the smaller brush heads of these… thanks for sharing this brand, I had never heard of them before. That’s neat they also sell nail polishes. I love the smaller, more tapered brush head styles too. Just too bad it’s harder to find. 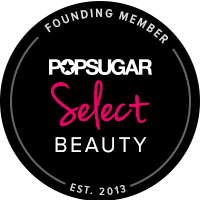 They’re a local Vancouver company that’s just starting out so I’m really excited to share that they’re quite good!